Shopping for the best offers on Lexmark laser toners? Getting all of your new Lexmark E350d toner cartridges from Cartridge Save makes it a possibility for you to save a great deal of time and expense. Considering our affordable deals and also our low price promise you can be certain of enjoying the cheapest offer on Lexmark E350d toner cartridges. We intend to satisfy every single buyer by giving you reasonable costs as well as best quality Lexmark E350d toners cartridges that will operate dependably every time. 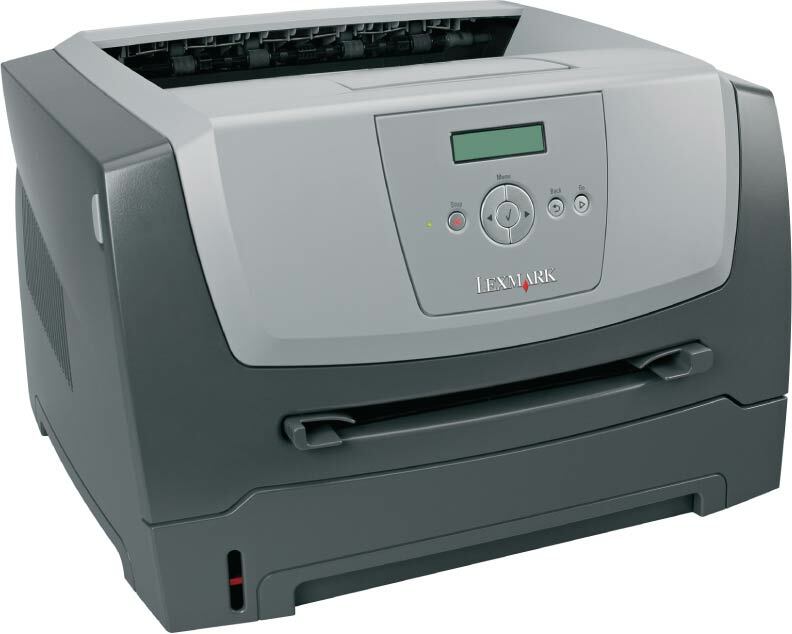 Get Cheaper Prices Today For All Lexmark E350d Toners! In the event that you have previously purchased Lexmark toners with us before then you will be aware that our reliable delivery service will reduce your costs. Start saving today when you purchase value Lexmark E350d toner cartridges when you use our online store. Meanwhile, you'll be able to order a discount priced Lexmark E350d toner cartridge simply by calling our order number in person when the time suits. Customer happiness is our primary priority so we provide you with a guarantee on all Lexmark E350d toner cartridges to give you total peace of mind. We're offering speedy delivery, dependable printer cartridges plus the cheapest prices. It makes good sense to shop with Cartridge Save for E350d toner. The Lexmark E350d is a large size monochrome laser printer with a built-in duplexing unit that provides the user with two-sided printing. It is designed for medium sized workgroups, and is one of the fastest printers in its class. The Lexmark E350d toner cartridges are available in either standard 3,500 page capacity or a high yield 9,000 page capacity unit. The starter Lexmark E350d cartridge that comes with this printer is capable of printing up to 1,500 black and white pages. It comes standard with 32 MB of system ram that can be upgraded to a maximum of 160 MB by inserting an optional 128 MB DIMM into the printer's open memory slot. The E350d comes equipped with a 250 sheet capacity paper tray that can fit a variety of paper sizes, and produces its first print in only 6.5 seconds. Furthermore, the manual feeder can accept various media types such as, cards, labels, envelopes, and transparencies. Incorporating a powerful 366 MHZ microprocessor, the E350d can attain printing speeds of up to 35 pages per minute for single-sided printing, 16 pages per minute for double-sided printing, and a monthly duty cycle of up to 35,000 pages. The E350d is elegantly designed and features a two-tone colour configuration. The entire body of the unit is coloured in charcoal-gray, while the control panel and paper shoot area is constructed of silver tone plastic. A provided drivers and utilities disk allows the Lexmark E350d to be installed on computers running Windows, Linux, and Apple Mac OS X operating systems. Peripheral interfaces included are, IEEE 1284 parallel port, and a high-speed USB port. The Lexmark E350d comes prepared to offer medium workgroups a fast, dependable printer that adds a touch of elegance to the work place. The printer prints in resolutions up to 1,200 x 1,200 dpi, and the large LCD screen and push-button controls are all located in a top-front position for user convenience. Its versatility lies in the optional equipment offered by Lexmark. System memory, network connectivity, and paper capacity are all upgradable. Indeed, Lexmark sells optional paper handling drawers with capacities of 250 sheets or 550 sheets that fit-together under the printer's built-in paper tray. Unfortunately, this printer is noisy producing 52 dba of sound while operating and 20 dba of sound while idling. It does not come with networking capability, however, an optional equipment purchase will provide the user with Gigabyte Ethernet, Fast Ethernet, or a Wireless 802.11g interface.